Wooden running bike is handcrafted, made out of natural birch plywood. Colors used are weatherproof and eco-friendly, handpainted. Air filled tires and ball bearings make it easy and soft to ride on hard and soft ground. 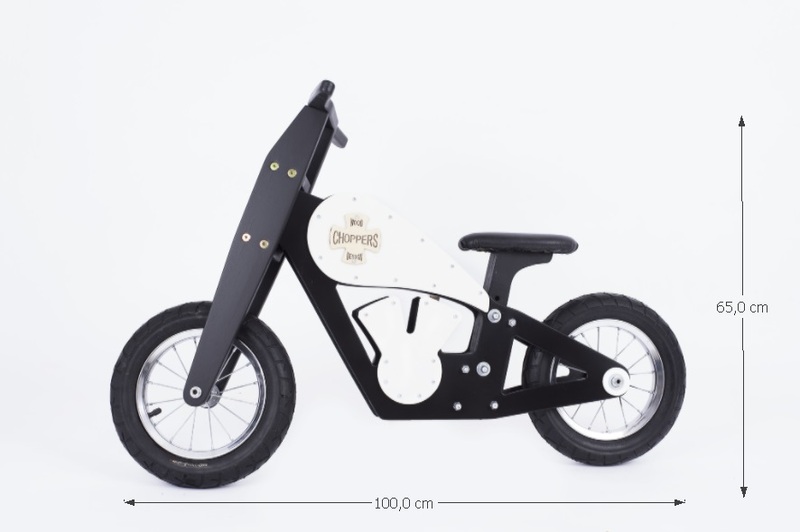 Seat of the running bike is adjustable from 37 cm – 47 cm from the ground. Seat is covered with soft pad. For children age of 2 – 6. Running bike is delivered mostly assembled, except handlebar, manual and needed parts are included. Made in Estonia!